TEMPEST RECORDINGS: Interviews with Tripswitch and Mote, A huge gig at the Noise Bar and Rainbow Serpent Festival to go ahead! Interviews with Tripswitch and Mote, A huge gig at the Noise Bar and Rainbow Serpent Festival to go ahead! This Thursday night here in our hometown of Melbourne, we have a huge line up at the Noise Bar, Brunswick. 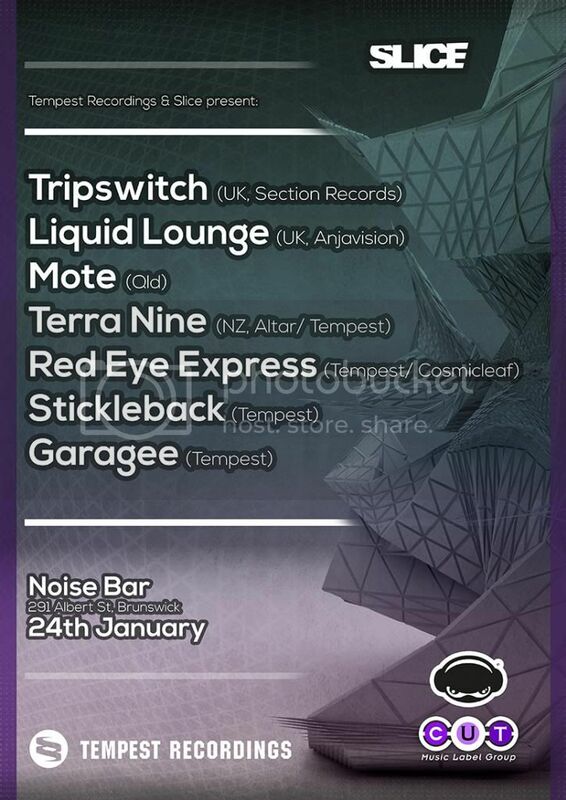 Featuring: Tripswitch & Liquid Lounge from the UK, Terra Nine from New Zealand, Mote from Brisbane, and locals Garagee, Stickleback& Red Eye Express. Its only $11, and starts at 7pm. To get you in the mood, check out this interview with rising star, Mote from Haarp Media. Also, on Wednesday, be sure to tune into Kiss FM, for Volatile Sounds with Lucca Tan and Tech-Aid will feature an interview with Tripswitch. 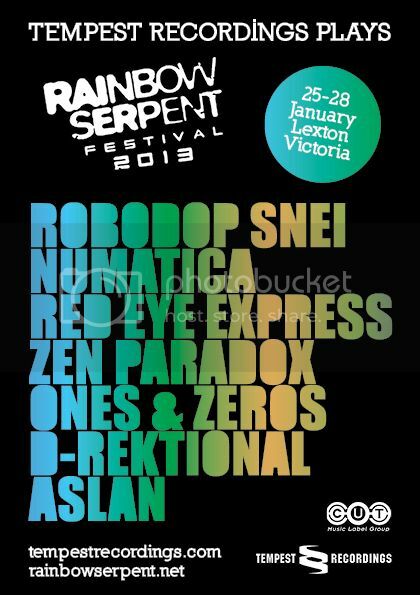 You may have heard, Rainbow Serpent was on the brink of cancellation. The good news, it's full steam ahead! Set times are now up, with our artists Robodop Snei, Red Eye Express, Numatica, Terra Nine & more on the bill!